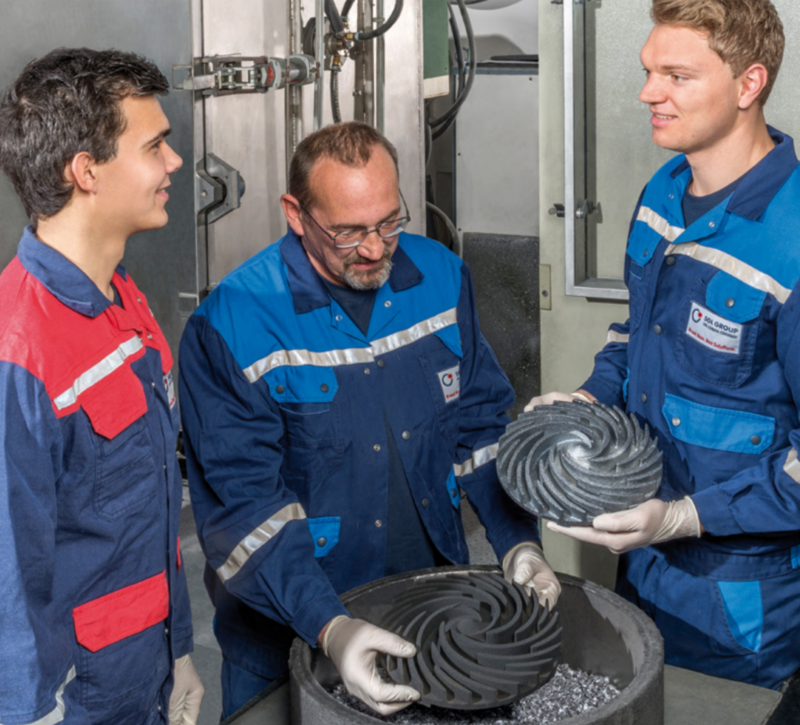 3D printing with carbon is the focus of a collaboration between Germany-based SGL Group and binder jetting specialists, ExOne. SGL Group produces materials at 32 locations across Europe and employs over 4,000 people. The company’s core expertise in the control of high-temperature technologies and includes a wide materials base. The venture with ExOne, manufacturers of a range of binder jetting based 3D printers, focuses on carbon-based materials. 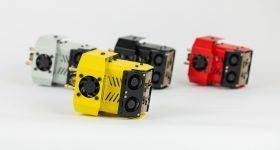 ExOne’s Exerial Industrial Production additive manufacturing system is one of the company’s leading machines, with a recent sale of four Exerial systems bringing in $2.8 million. 3D printing with CARBOPRINT at SGL Group. Photo via SGL Group. 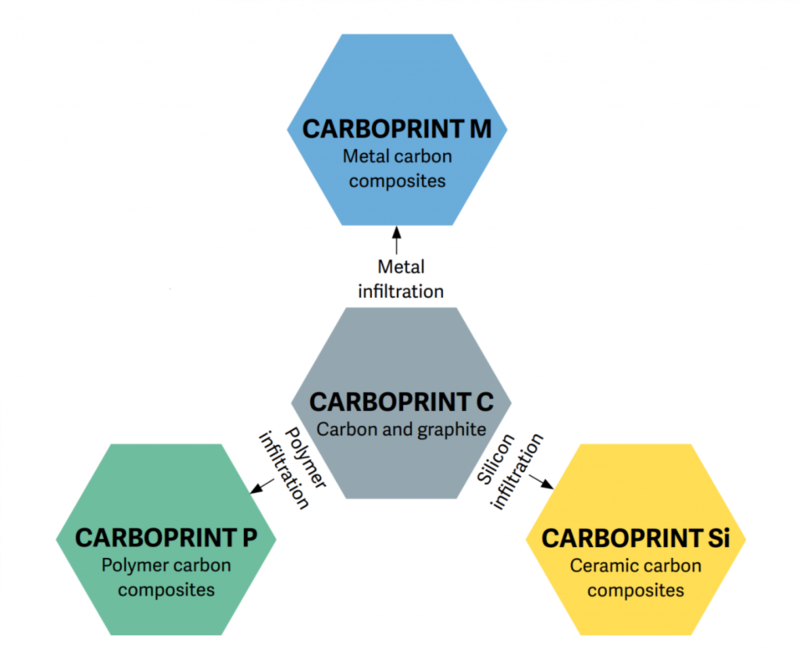 The carbon materials for additive manufacturing will be marketed under name CARBOPRINT. 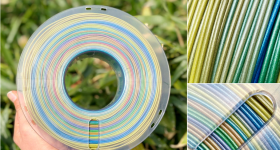 These materials have been developed for use with ExOne 3D binder jet printing technology. 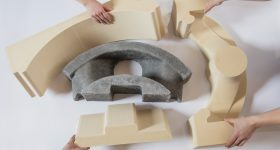 The new materials further extends the material portfolio available to ExOne customers. 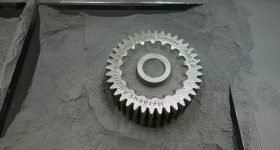 An additive manufacturing workflow with CARBOPRINT can also incorporate optional carbonization, redensification or graphitization before infiltration is performed. 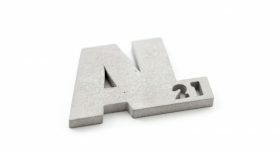 SGL Group believes that industries including glass, metal and chemical can benefit from 3D printed carbon. There are also high-temperature and mechanical applications for the technology. 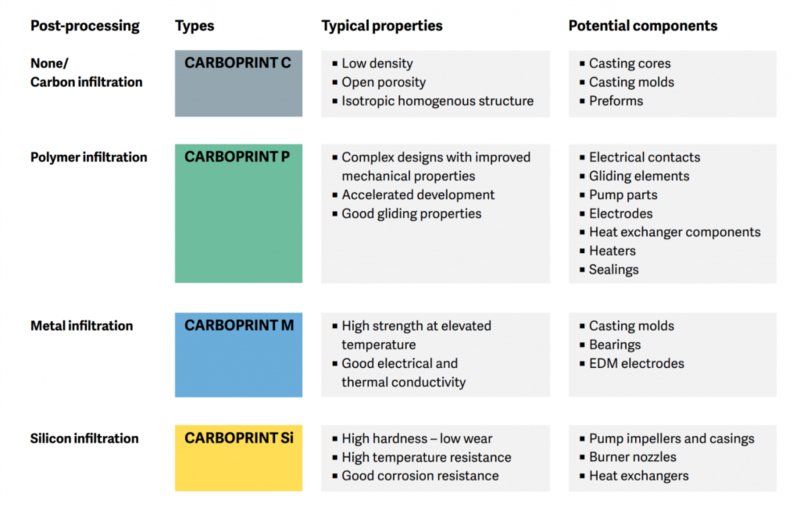 The carbon powders may also become the basis for cost-efficient serial production using 3D printing according to the CARBOPRINT product brochure. 3D printed carbon CARBOPRINT from ExOne and SGL Group. 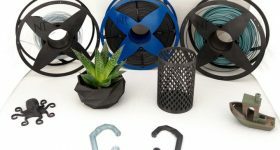 The CARBOPRINT 3D printing material portfolio is centered around CARBOPRINT C. These carbon and graphite powder can be processed in the same manner as additive manufacturing sands using ExOne’s binder jetting systems. Depending on the intended application either CARBOPRINT P (polymer carbon composites), CARBOPRINT Si (ceramic carbon composities) or CARBONPRINT M (metal carbon composites) can be used at the infiltration stage. 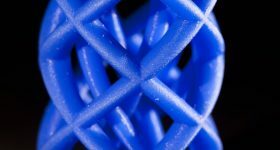 3D printing with carbon, properties and applications. Image via SGL Group. 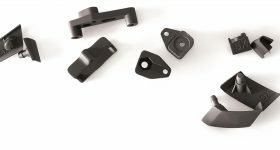 3D printing followed by polymer infiltration is suitable for components with complex designs and is intended for uses such as electrical contacts, pump parts, heat exchange components or sealings. The material is heat resistant below 200C with adjustments to electrical and thermal conductivity possible. 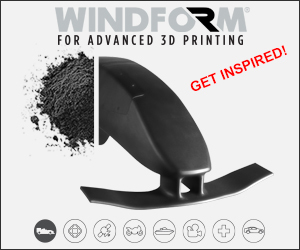 3D printed ceramic carbon composites are intended to provide, “reliable function and longevity in harsh environments and at high temperatures.” These additive manufactured components have temperature resistance up to 1200C and also exhibit high hardness and chemical stability. 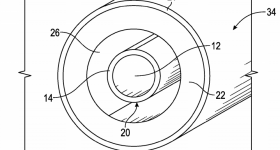 Applications include pump impellers and casings, burner nozzles and heat exchanges. 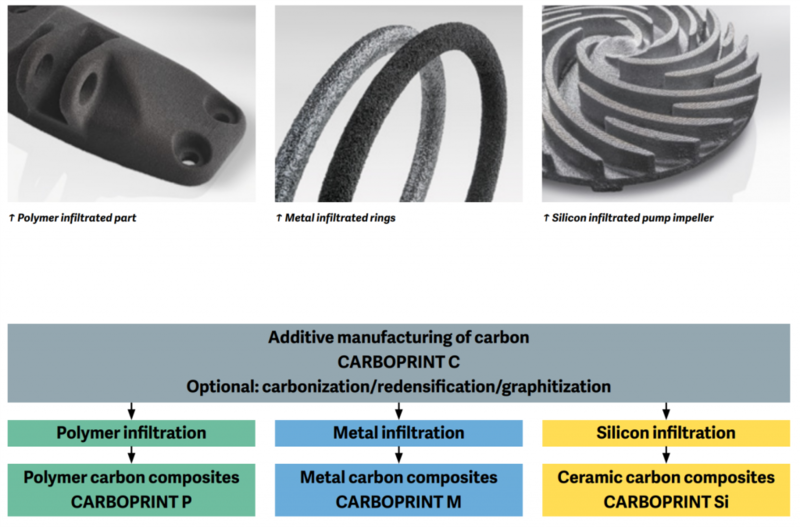 Additive manufacturing with carbon. Image via SGL Group. 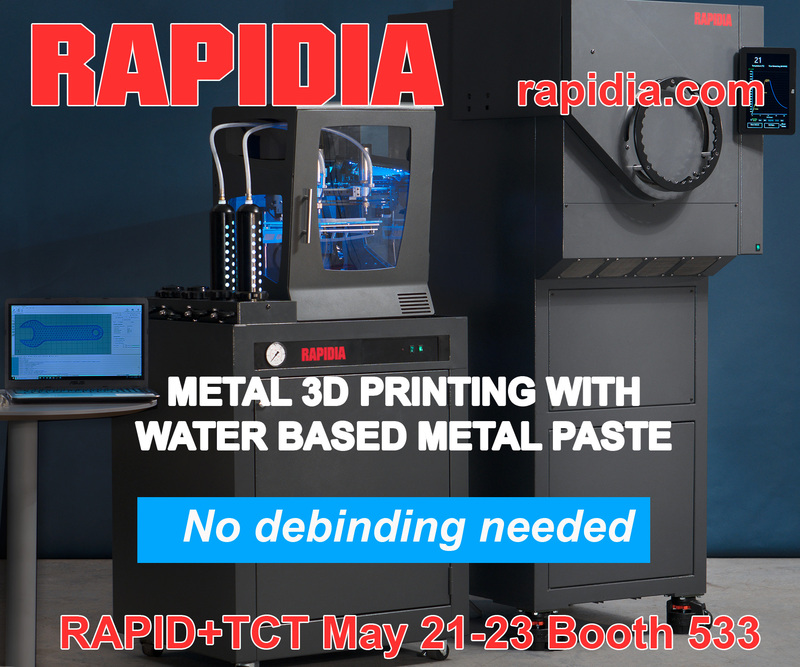 Metal infiltration with the final post-processing material, CARBOPRINT M is intended for components such as casting molds, bearings or EDM electrodes. 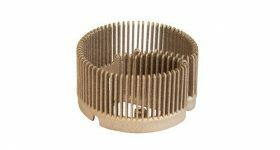 The resulting 3D printed parts have a lower CTE than pure metals, good electrical conductivity and low friction. 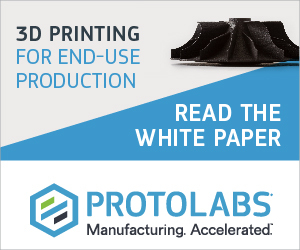 Are these materials an important breakthrough for additive manufacturing? Make your nominations for the 2018 3D Printing Awards now before they close on tomorrow. 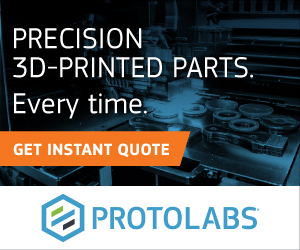 For all the latest 3D printing investment news subscribe to the most widely read newsletter in the industry, follow us on Twitter, and like us on Facebook. Featured image shows 3D printed carbon CARBOPRINT from ExOne and SGL Group.